Looking for a list of Vancouver’s most incredible food to add to your bucket list? Here are my favorite bites discovered in 2011, in no particular order. 10. Ensemble Tap’s Chicken Burger | Easily one of the best sandwiches I’ve ever had. Top Chef Dale Mackay puts a spin on his all-time favorite fast food item, the McDonald’s McChicken Sandwich. 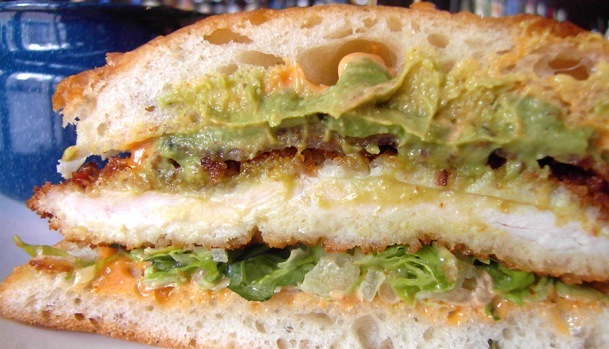 This incredibly juicy creation — built on Terra Breads’ dense focaccia — is packed with panko breaded chicken, crispy bacon, avocado, and uber-smoky paprika mayo. 9. 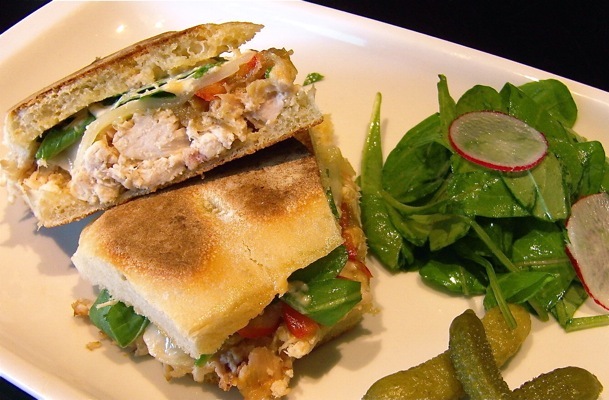 Bel Cafe’s Pulled Chicken Sandwich | Without a doubt, one of the most gourmet, flavor-packed sandwich around — and no surprise since it comes from the hands of renowned chef, David Hawksworth. Its caramelized onion topped chicken is ridiculously tender and flavorful; crunchy house-made ciabatta is the icing on the cake. Try a Vanilla Bean Shortbread cookie for dessert. 8. Kitchening with Carly’s Natural Almond with Rosemary Salted Caramel and Vanilla Cream | These could be the best you’ve ever had — and they’re all-natural to boot. Pastry chef Carly Wintschel’s is a fearless flavor combo master — she’s even experimented with bacon and egg nog! Chai with Cardamom Butter Cream, is another of her handcrafted must-tries. 7. 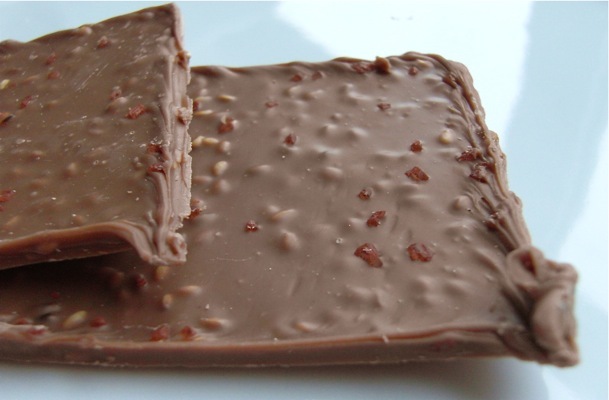 Cocoanymph’s Sesamo Bianco Chocolate | These delicate chocolate sheets are not for the faint of heart or palette. If you crave extreme sweet and salty, head to chocolatier Rachel Sawatzky’s cozy, delicious-filled shop at Alma and 10th. With a hint of sesame and white chocolate, this creation is like nothing you’ve ever tasted. 6. 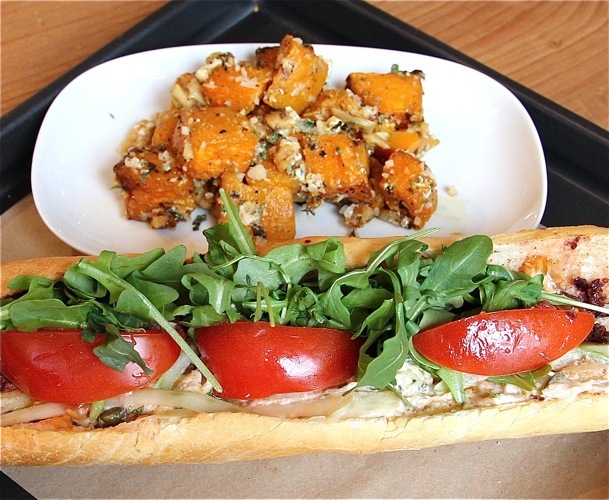 The Dirty Apron Deli Tuna Confit Baguette Sandwich | Who knew a sandwich could melt in your mouth? (My picture doesn’t do it justice.) With fresh bread baked on the hour (due to its quick sell-out rate) and amazingly fresh ingredients, you are guaranteed to love this. Chefs David Robertson and Nico Schuerman just ‘get it’. I haven’t tasted a single creation of theirs I didn’t love — no exaggeration. 5. 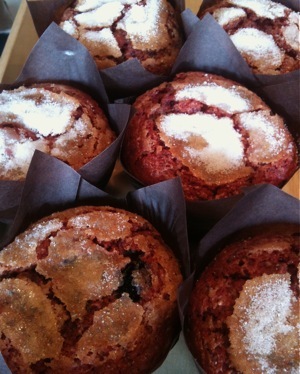 Cafe Regalade’s Blueberry Beet Muffin | Before you scroll past this ‘vegetable muffin’, think about zucchini bread and carrot cake. Beets are even sweeter — and they are #winning in this muffin. Chef Steeve Raye’s daring ways will start trends. His irresistibly moist baked good is a must-try. 4. Ensemble’s Potato Gnocchi | Top Chef Dale Mackay’s Potato Gnocchi are so light, I picture them flying right off the plate. Cushier than my memory foam mattress topper, these blow-your-mind little pillows are bathing in a drinkable tomato butter sauce and topped with freshly grated parmesan sheets. 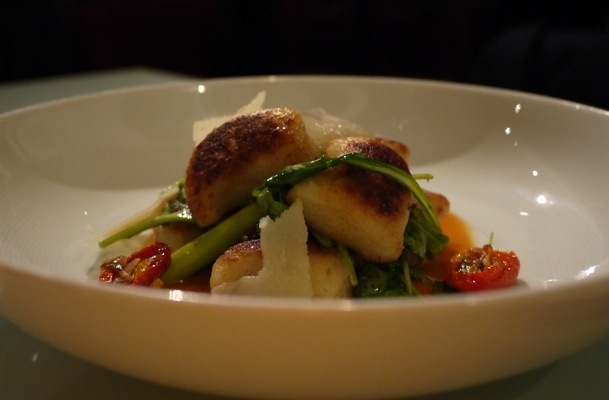 If you think you know of better gnocchi in town…I don’t believe you. 3. Baguette & Co’s Croissants | There are only a few ‘perfect croissants’ in town, and this is one of them. 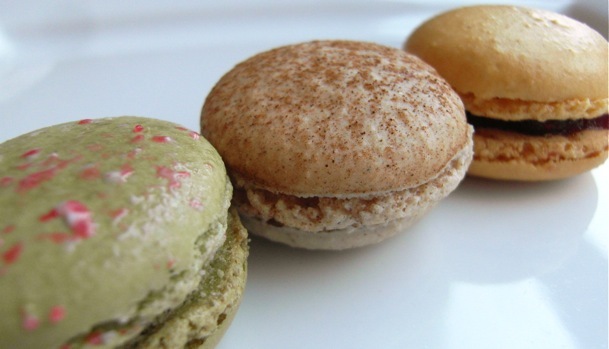 For buttery, flaky, simple-yet-incredible goodness, head to West Broadway where you’ll discover an adorable, under-the-radar, authentic French cafe with a plethora of mind-numbingly beautiful baked goods. 2. 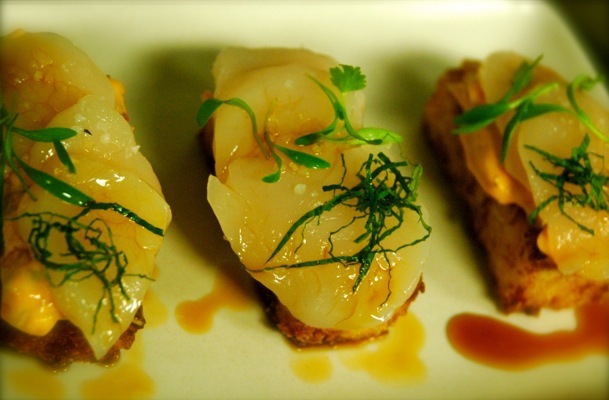 Market by Jean-Georges’ Scallop Sashimi | Approximately one million times more delicious than its less-than-exciting name might convey, Jean-Georges Vongerichten’s newish appetizer (born last spring) will cause ‘to die for faces’. It’s the perfect combo of crunchy, soft, creamy, and tangy — proving, once again, that this man is half chef, half God. If the world were fair, each of his jaw-dropping menu items would be on this list. 1. 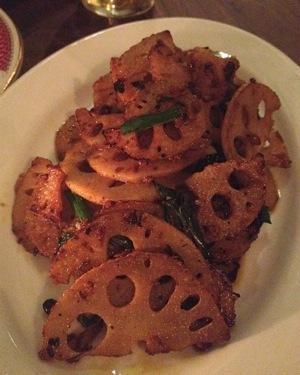 Bao Bei’s Lotus Root | So much more than a side dish. Bao Bei’s new veggie menu item has a wildly unique texture and intense curry and black bean flavor that will leave you wanting a second order. Past this, order away. You can’t go wrong with Bao Bei’s offerings (though I do crave their Beef Tartar on a daily basis).